What a term full of incredible moments we have had! True to our theme for the year, ‘Be in the Moment’, the staff, children and parents of our school have created so many special moments over the past few weeks. From explosions and foul smelling experiments at Science Blast, hard fought victories over our arch rivals in the pool and on the sports field, to incredible adventures on the Transkei and in Mozambique, our children have been blessed with an amazing term. There have been many highlights both in the classrooms and on the sporting front and our congratulations go to four of our pupils who were selected four the Sisonke hockey team. Well done Lauren Wetherill, Erin Smith, Akona Hlongwa and Liam Ryland, we are very proud of you. Over and above the regular day-to-day teaching and sports load, our committed teachers have been very busy with various staff training workshops and courses and our curriculum continues to improve and develop as we adapt to the ever changing needs of our children. We have also begun the first phase of developing our new strategic plan that will take us through the next few years and staff, children and parents will be consulted during this process to ensure that we plan effectively for our future. Once again, our dedicated, loyal and extremely effective fundraising teams have been hard at work in preparation for the upcoming Sani2C and we would like to encourage all parents to get behind these teams and offer your full support during the event. Every family in our school has an important role to play during Sani2C. Once again, as we draw the curtain on another wonderful term in the history of our special school, I am reminded of how truly privileged we are to be part of the Lynford Family. As I have said many times before, there will always be things we look to improve upon, however, there is a tangible uniqueness to our school that separates us from the rest. Our children have ‘something special’ that is noticed by visitors and the respective high schools they attend. Our children are wholesome and, in today’s world, that is something to be cherished. 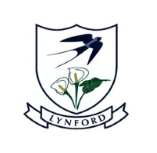 My grateful thanks go to the whole Lynford Team. A reminder to all pupils and parents – if your child is going into town after school or going to any public venue they are to be dressed in full school uniform (including shoes and socks) or full sport kit (t-shirt, shorts, socks & tackies). The Sprouts of 2018 have settled well into their new environment and are enjoying the classroom activities, playing on the outdoor equipment and engaging with the daily sensopathic trays. They have formed some wonderful new friendships and are all coming into their own as individuals. This term, the Sprouts have explored four exciting themes: My Body, Our Families, Pets and Easter. All of which have been accompanied by beautifully creative art and very colourful discussions. Every child in the preschool has benefited from the purchase of new balls and ropes. Hand-eye coordination and being able to hop, skip and jump are such important gross motor skills which we focus on in these preschool years. We are also very fortunate that specialist activities such as rugby tots, modern dancing and gymnastics are on offer for those who wish to participate. The Sprouts took part in the multisport programme which they thoroughly enjoyed. The first term outing was a visit to Oribi Ranch game farm in the Inhlamvini, near Highflats. Once there, everyone got in the back of game-viewing vehicles and proceeded to drive around the farm trying to see as much as they could. As luck would have it, a variety of buck, giraffe, buffalo and very grumpy hippos were on show for all to see. We have had a very busy term, and although everyone is ready for a holiday, we are all so excited about what next term has in store for us all. We have had a busy start to the year in the Sprogies classroom. We learnt all about ourselves in the first two weeks and we then moved onto learning all about our special families. We have done many exciting activities relating to these themes, these include painting, drawing, counting, singing and dancing. Our literacy program has started with learning about compound words and we have just introduced identifying sounds in 3 letter words. Our numeracy rings have included problem solving, counting and practising number symbols in sand, shaving foam and with play dough. Healthy eating was an interesting theme that we discussed in the classroom. The children had fun learning about rainbow fruits and vegetables and how they help our bodies grow, we even discussed patterns using real fruit and making kebabs. We have enjoyed talking about our pets in our theme this week and we have made our own pet birds that live in a cage. We spent time counting dog biscuits for our pet dogs in numeracy this week. The children have learnt all about looking after their animals. We were privileged to spend a day at the Stegen’s farm where the children had a fabulous time. They had an Easter egg hunt in the forest and this was followed by a slip and slide. The children had the opportunity to play in a different environment and they were very well-behaved. What a privilege and pleasure it has been getting to know my new class. We have started with a bang and have already done so much work. I am amazed at how quickly the Grade Ones have settled into routine and gotten the hang of life in ‘big school’. They are so ready to learn and because of that, each and every child has already made wonderful progress. I marvel at their ability to remember their sounds and decode words, as well as grasp new numeracy concepts. They have had an exciting sports season and have grown in confidence and skill, both in the pool and on th cricket field. We enjoyed an exciting outing to the ‘The Natural way’ farm in Hillcrest where the kids all had a turn on the zip line. The shrieks of joy (and in some cases fear) were heard far and wide. Next, the children went on an adventure in the Fantasy Forest and to end off an action packed morning, they all completed a challenging but fun obstacle course. One of the highlights of this term has been the visits from’ Zero the Hero’. He has helped us learn about Tens and Ones and has brought a few exciting, and sometimes delicious, zero shaped objects to make the learning more fun. He even found us at our outing where be bought delicious cupcakes. Science blast was great fun. Amongst other things, the children made ‘elephants toothpaste’ and slime. They watched explosions and discovered how to put a pin in a balloon without popping it. Messy fun was had by all! The Grade One class is a very happy group. We have such a variety of personalities and potentials, which makes our days wonderfully colourful. There is never a dull moment in our special class. Each child has a role to play and their own uniqueness contributes to our classes’ greatness. The children have made good progress in their reading and are learning how to chunk words as well as code and decode unfamiliar words. This has helped increase the fluency of their reading. We are all enjoying reading our class set book – The Magic Faraway Tree. We all have our favourite characters and look forward to their exciting adventures up the Faraway Tree. In Maths we have learned how to add and subtract using the regrouping method. It took us a bit of time but we finally mastered it and are loving the challenge of calculations which involve larger numbers. We have all had such fun learning about mini beasts and life cycles. The tadpoles have proven to be popular additions to our class and are scrutinised daily for any developments. We had a lovely time at the Allwood’s farm looking for and collecting bugs. The children enjoyed the freedom of running through the grass, lifting up rocks and logs and searching for unusual bugs. The best part of the day was playing in the mud at a little river and throwing mud at their teachers. Our outing this term was to Butterflies for Africa in Pietermaritzburg. Our current theme is insects and this venue provided us with a perfect opportunity to learn more about moths and butterflies. We were greeted warmly by the staff of Butterflies for Africa and then treated to an audio-visual presentation that taught us a great deal about the differences between a moth and a butterfly as well as many other interesting facts about insects. Our highlight of the day of course, was when we were allowed inside the greenhouse to go and look for different types of butterflies and what a spectacular sight they were! Whilst looking for all the different species that inhabit the greenhouse, the Grade Three’s had the opportunity to see turtles inside the ponds, as well as some rare species of birds. There was also a rather interesting array of stick insects that were rather tricky to locate as they are extremely camouflaged. We also got to see some rare monkeys that are only found in South America. The children had an incredible day and were able to learn a great deal. The very informative and helpful guides that escorted us around the premises over the course of the day were immensely knowledgeable and they greatly enjoyed getting to know our children and complimented our Grade Three’s on their excellent behaviour and their inquisitive attitudes. It was a wonderful day and I was enormously proud of these children as they not only learnt a lot but they also had fun whilst doing so and that is always something to strive towards. This year has seen a few changes occur in the Grade Three classroom. We get to learn Afrikaans with Miss Jackson and her visits are greatly anticipated and the children are eager participants in her lessons. Miss Williams is now teaching the Grade Three’s maths and she is thoroughly enjoying getting to know the children and together her and the children are tackling maths problems and learning new concepts. Mrs Moodley teaches them in their Theme lessons and they love contributing to her discussions and learning about a variety of different topics. I have loved getting to know these Grade Three’s this term and am so pleased with the all their hard work and the progress that they are making. They are such happy, helpful children and I commend them on their conscientious work ethic and their diligent attitudes. I look forward to seeing what next term has in store for us! The Grade 4’s have had a fantastic start to the year and they are settling in well to the added pressures of formal assessments, taking it mostly in their stride. Charlotte’s web has also been a hit, as the children love the story as well as the life lessons they are able to relate to from the book. The story has become a platform for inclusive learning and is incorporated throughout all the learning areas. We had an unexpected science lesson, learning about different animals and their habitats, which ended up being a fun cooling off session in the dam. The kids loved this and learnt a lot. We are learning different concepts in Maths, and have adjusted to the higher demands of the Singapore syllabus, focusing mainly on bar models and problem solving. We enjoyed a fantastic day out at Maywood farm, incorporating many learning areas into one awesome day. We are definitely looking forward to a busy and exciting second term. We have had a good start to the Grade 5 year. In Social Science we have been learning about our continent Africa, as well as getting familiar with Map work skills. Interesting discussions have arisen in Natural Science as we have learnt about the Three States of Matter, Air, Water, Forces and Forms of Energy. The Grade 5’s are thoroughly enjoying ‘The Diddakoi’ and learning many life lessons as we go along, for example, about prejudice. The Eco Challenge is well under way, and we have completed our sketch of a Lynford tree, and much excitement and learning about families has taken place while completing their individual family trees. The term will end with the Science Blast, which the pupils are busy preparing for. I’m sure it’s going to be lots of fun and enjoyed by everyone. 2018 has had a busy and memorable first term. The first day back at school began with a team egg challenge that provided a good opportunity for the class to get their teamwork skills sharpened. The continent of Africa and its incredible diversity have been the major focus in HSS lessons, as well as an in depth look at Mozambique as we prepared for our six day excursion to our neighbouring country. The Solar System, planetary movements, the seasons and tides, the primary focus in Natural Science, further readied the class for their time on the coast of Mozambique. Our departure on 27 February was an early one with a one-night stopover at Kosi Bay being the first destination. By midday on 28 February we had cleared the border and arrived at Milibangalala, our tented home for the next three nights. Long walks on the beach, exquisite snorkelling in the warm clear water and exploration of the dunes and reefs along the coast kept the children very busy until our departure on 3 March. A sleepover in Hlulhluwe on that Saturday night was our last stop before arriving back at school on 4 March. The Mozambique trip left memories that will last forever and provided life changing opportunities for growth and character development that will bear fruit in the coming years. The Grade 6 class is well set for the coming three terms and I look forward to what this very special group of young people are going to accomplish. The Grade Seven group started the year off with an unforgettable trip to the Wild Coast. Along their 30km hike their leadership skills were put to the test as they marched along hilly terrain and encouraged each other through the low and high moments. From Lupatana to Manteku the Grade Sevens were spoilt with beautifully rugged landscapes and breath-taking sea views that are usually only seen in travel magazines. A major highlight for the Grade Sevens was spending a night in a Xhosa home with Mr Computer. The boys and girls were treated to a traditional Xhosa meal cooked by two local ladies, it was certainly a burst of flavour and an enriching rush of culture for us all. On the final night, the children had to fend for themselves, as they were given R20 to come up with dinner for themselves. Most relied on catching a fish for supper, but unfortunately none of the early worms got a fish. Nevertheless, thanks to the resourcefulness of the children, none of them went hungry. In the classroom, our iPad programme continues to thrive, as we are able to offer each Grade Seven their own, personal iPad for the year. It has proven to be an invaluable tool for research, interaction and communication. The iPads have also enabled us to become a little more eco friendly, as a portion of their worksheets and notes can now be emailed or airdropped directly. The children are also fortunate to have three different teachers this year, which bodes well for their social adjustment for high school. Overall, the young men and women of Grade Seven have made a positive start to the year and continue to work hard in the classroom and on the sports field. We wish them all the best for the year ahead and hope they enjoy their position of leadership. We have had such a satisfying start to our sport season. It is always tricky starting with swimming as it can be a very limiting discipline. However, I am very proud to say that this term we all, children and coaches, sunk our teeth into the pool and with the extra time we were allocated this season, it has definitely worked in our favour. With our growing numbers in our Pre-Primary, our lesson goals vary from stroke correction; Learn to swim to water safety. All equally as important as the other. We had many scared little bodies sitting on the side of the pool too nervous to get in but slowly but surely, they got over their fears and by the end of the term, we happily getting into the pool by themselves. A true reflection of the day-to-day bravery being shown. All the hard work and dedication was highlighted in our Senior Primary Gala with personal goals being achieved in most races. It is so easy to work with all our pupils when we get to see their rewarding smiles so often whether it’s from getting in by themselves or scoring a run in pool cricket. We have had a blast this term and so looking forward to progressing even more in Term 4. There is always an excitement and eagerness when it comes to cricket for the Grade 1 boys. They love hearing that they have their first cricket match coming up but the nerves kick in and eyeballs pop out when they see millions of other Grade 1 boys at the cricket festival. The boys worked and played hard and have had a great cricket season. They showed lots of enthusiasm while having lots of fun. They may not have won all their matches, but can be very proud of their first season. We cannot wait to have them again in the Fourth Term when they are much stronger and have a better understanding of the game. On the other hand, our Grade 2 boys are the most enthusiastic bunch and would not mind playing cricket for the whole day. They have a great passion for the game and are willing to excel. These Grade 2 boys have made cricket look so easy as they displayed some amazing batting skills and positive attitudes on the field. Overall, we have had a good cricket season with some outstanding performances from all the boys and we would like to thank the parents for their support. This squad of boys has enjoyed a very successful first season of cricket. They won all three of their matches this term, all the while displaying enthusiasm and a good team spirit. Very disciplined bowling and fielding characterised the boys’ performances in every match and the batting showed real improvement as the season progressed. The opposition were always made to work hard for their runs, and the last fixture of the season saw us defend our 74 run score by dismissing the opposing team for 19 runs. The season ended very positively and we look forward to building on these cricketing skills and talents in the future. The Open boys’ cricket team was fortunate enough to have almost 20 boys attend each practice. They began the season a little rusty from the holidays, but after some hard work in the nets and on the field, their skills were re-honed and they were ready to take on the matches that lay ahead. The first match of the season was against Richmond, and although the result didn’t go our way, it was an exciting start to the season with the boys going down by a narrow 16 runs. The Umvoti 6’s Tournament in Greytown, is always a highlight for our boys, the format is a challenge to get used to in a very short amount of time, but the results were very positive as we finished 3rd in our group out of six schools. The boys also enjoyed a very notable victory over Underberg, to wrap up the first half of the cricket season on high. “Our records show that your organisation has raised R771 this term. 47 supporters raised funds for your school this month, whilst 43 supporters used their MySchool card to support you last month.”.